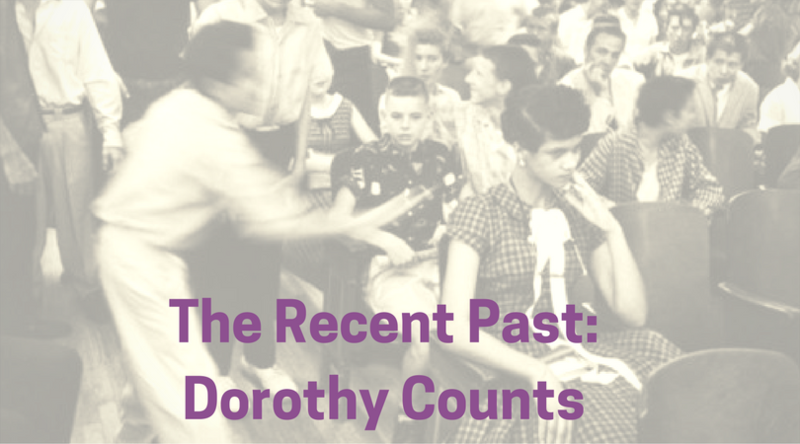 Dorothy Counts was just 15 years old when she bravely took on a task that no kid should have to endure. She was one of the first black students to enroll at an all-white school, in Charlotte, North Carolina in 1956. Imagine the meanest, worst-behaved 15-year-old boys you’ve ever encountered. Now add a thick coat of racism, total non-intervention by teachers and school staff, and the fact that a black girl entering an all-white school was entirely unprecedented, and you might get some idea of what Counts experienced as she walked into the school. Emma Warlick, married to the leader of the White Citizens Council — yes, that was a thing — egged on the harassers, telling the boys to “keep her out” and calling out to the girls that they should “spit on her, spit on her!” This was an adult. A wife. A grown woman who came out to the school that day just to ensure that Dorothy would be tormented. This should emphasize just how very alone Dorothy was that day, without any protection from school administration or other supervising adults. Though three other black students would brave integration that year, they were enrolled at other schools. But Dorothy was not there to make friends. Dorothy was there to get her education, mind her business, and survive the day without getting assaulted. 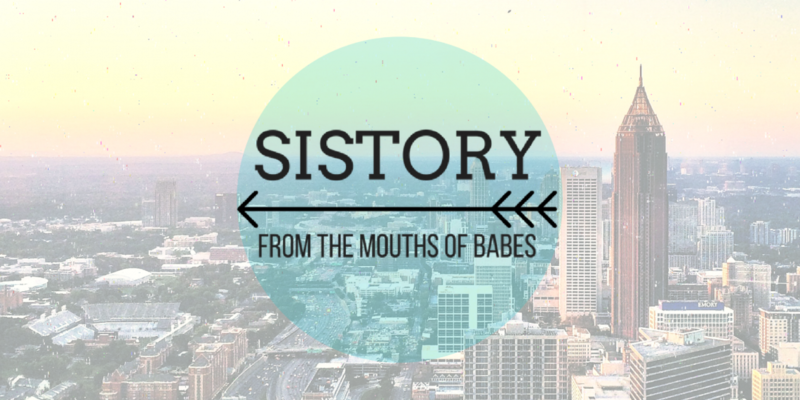 For four days, she was spat on, called names, leered at and jeered at. When she walked, her tormentors stayed close enough to breathe down her neck, while others threw rocks at her. When she sat down, they threw trash at her. After four days, it was too much. Dorothy’s parents pulled her out of the school, afraid of what might happen, and the family moved to Philadelphia where she enrolled in an integrated school. It took Charlotte 12 more years to finally integrate schools and busing. 12 more years. Three times the amount of time a person spends in high school. If these sort of stories sound like the distant past, an embarrassing time in our nation’s history that we’ve all recovered from, I have some bad news for you. Not only is school segregation still a thing, but Dorothy Counts is still very much around. She’s not an elderly wisp of days gone by, either — she’s youthful and active. She’s a mother and a grandmother. She does speaking engagements. She’s on Facebook. This past is still quite present. Ruby Bridges, the icon of school desegregation in New Orleans, and all but one of the Little Rock Nine are still around. Many of these courageous pioneers are still fighting the fight today, including Dorothy Counts, who became an activist for equality in education and runs a nonprofit, Child Care Resources Inc., that advocates for improved access to child care in Charlotte. Yes, in Charlotte. She moved back and built a life there, backdropped by the scene of her tested strength. She was never contacted by any of the white students who had been there with her as she courageously entered that school, until 2006 when she received a letter from Woody Cooper. Woody had been in the crowd that day, captured in the photos by Charlotte Observer photographer Don Sturkey. He hadn’t tormented her, but he hadn’t helped her, and each examination of the pictures led him to conclude that failing to step up was just as bad. Prompted by his guilt and his Christian faith, Woody reached out to Dorothy. Somewhat incredibly, the two embarked on a kind of friendship, doing speaking engagements together. Dorothy attended Woody’s funeral in 2010. Dorothy’s long, solitary walk into Harding High School impacted not just her, but the lives of her tormentors, the city of Charlotte, the fabric of America. James Baldwin was so moved by Dorothy’s story that he came back from Europe to the United States to fight racial inequality rather than escape it. Dorothy Counts, Ruby Bridges, the Little Rock Nine — children and teenagers that bravely fought with their feet — are not from a time long past. But they are from history, our history, which we would be wise to carry with us. I’m crying out loud as I sit in my car reading this cautionary tale. Crying for the courage of People like Dorothy Counts, crying about the hate that consumed the hearts of people like Emma Warlick and crying over that James Baldwin quote. Why can’t we learn?